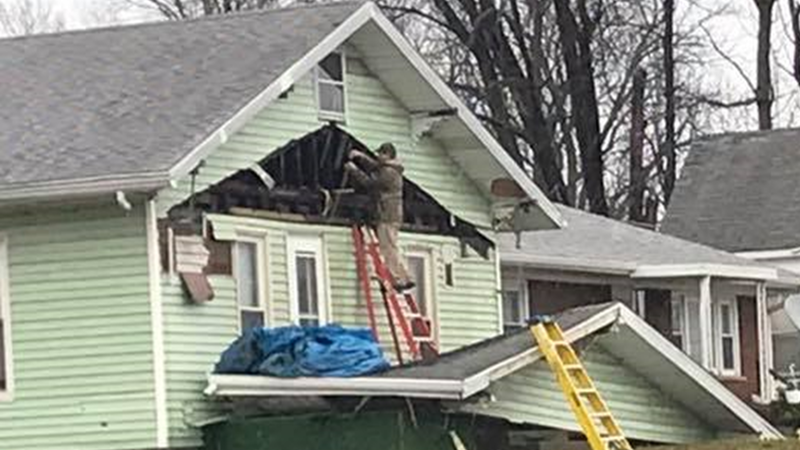 OAKLAND CITY -- The National Weather Service has confirmed a tornado did touch down in Oakland City during Thursday's severe weather. The EF 1 tornado had winds of 110 mph and cut a path of damage just over 2 and a half miles long. The twister ripped off roofs and toppled trees and power lines. The good news, no one was hurt in Thursday’s storms.